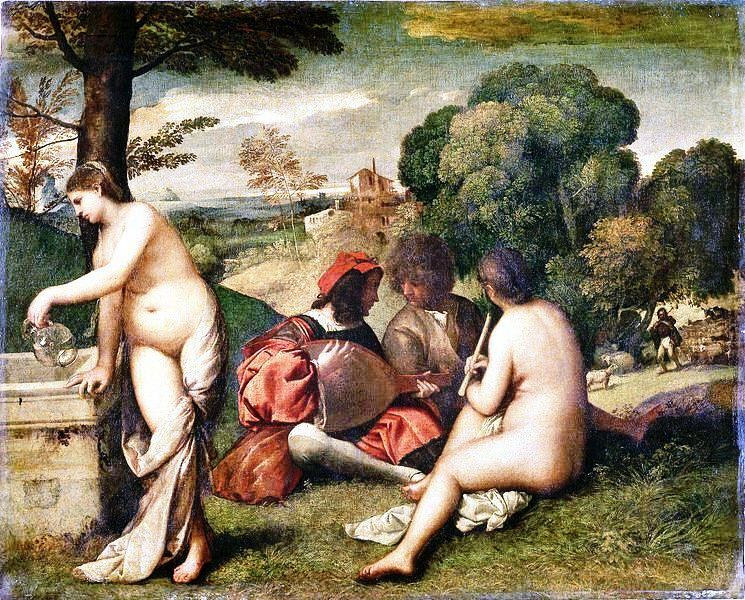 Pietro Bembo: Titian or Bassano? ≈ Comments Off on Pietro Bembo: Titian or Bassano? It appears the portrait of Cardinal Pietro Bembo (20 May 1470 – 18 January 1547) published in a post dated 27 January 2016 is not by Titian (1488/1490 – 27 August 1576). It is by Jacopo Bassano (1510 – 14 February 1592) and it was painted in c. 1545, a few years after Titian painted his portrait of Cardinal Pietro Bembo. Bassano’s cardinal is not given a name by the Szépmûvészeti Museum, but I suspect it is a portrait Cardinal Pietro Bembo. Budapest’s Szépmûvészeti Múzeum is closed at the moment, but one may browse its collections online. Budapest’s “Portrait of a Cardinal” is attributed to Jacopo Bassano. As noted above, Titian did make a portrait of Pietro Bembo, which I presume explains the kerfuffle. Titian’s portrait is a more formal of Cardinal Bembo and it is dated c. 1540. It did occur to me that the portrait held at the Szépmûvészeti was wrongly attributed to Jacopo Bassano, but I doubt it very much. Jacopo Bassano was a great artist. The use of the vernacular as a literary language was the subject matter of the post I published on 27 January 2016. In Italy, the vernacular started to replace Latin relatively early and it was called the Petrarchan Movement. Bembo’s “way of making direct imitations of Petrarch was widely influential and became known as bembismo.” According to Pietro Bembo, Petrarch’s use of Italian was a model for the modern Italian language. Petrarch lived in the 14th century (20 July 1304 – 19 July 1374). Other models were Giovanni Boccaccio (1313 – 21 December 1375) and, to a lesser extent, Dante Alighieri (c. 1265 – 1321). (See Pietro Bembo, Wikipedia.) In the Italian states, the vernacular, Italian, started to be used as a literary language at the beginning of the 14th century, which is an early date. It precedes the Renaissance which began when the Byzantine Empire fell to the Ottoman Turks, in 1453. However, the scholars who fled to Italy were Greek scholars. Yes, I am writing my book, despite limitations. “Pietro Bembo”. Encyclopædia Britannica. Encyclopædia Britannica Online. A few posts ago, I listed two old posts as related articles. One was about the Petrarchan Movement, the other, about Joachim du Bellay. In 1525, Cardinal Pietro Bembo (20 May 1470 – either 11 January or 18 January 1547) wrote Prose della volgar lingua, a text in which he encouraged authors to write in Italian, the vernacular, rather than Latin. The vernacular was Italian as spoken in Florence and Tuscany. For Pietro Bembo, however, it was the Italian used by Francesco Petrarch (20 May 1470 – either 11 January or 18 January 1547), hence the Petrarchan Movement. I also mentioned authors Dante Alighieri (1625 – 1321) and Giovanni Boccaccio (c. 1313- 21 December 1375). As for musicians, they too were to set to music texts written in Italian, rather than Latin. In the area of music, Francesco Landini (c. 1325 or 1335 – 2 September 1397) was the first writer of madrigals, a word meaning in one’s mother tongue: madre in Spanish. A few years later, in 1549, French poet Joachim du Bellay (c. 1522 – 1 January 1560) published his Défense et illustration de la langue française. It became acceptable to write poetry in one’s native language. Du Bellay was a poet, not a composer. As for England, Geoffrey Chaucer (c. 1343 – 25 October 1400), who took the Roman de la Rose to England, he had also advocated the use of English, rather than Latin or French, as a literary language. He translated part of the Roman de la Rose. You may recall that until the end of the Hundred Years’ War, French was spoken at the court of England and Edward VII felt he was a legitimate heir to the throne of France. He wasn’t by virtue of the Salic Law. A woman could not ascend the throne of France. Edward VII’s mother was French. Hence the fratricidal nature of the Hundred Years’ War, a war of succession. So let us go from the original Burgundian lands to the larger Franco-Flemish territory, the birthplace of masterful enlumineurs, but also the birthplace of extremely influential musicians, such as Adriaan Willaert (c. 1490 – 7 December 1562). But music is our subject, albeit in a very introductory manner. What I wish to point out is that the musicians whom the Italians hired were Franco-Flemish musicians and that among these musicians was Adriaan Willaert, the Flemish composer, born in Bruges, who founded the Venetian School (1550 to around 1610). In other words, Italy did not bring music to the north, the north went down to teach music to the Italians who then exported their own music to Vienna. Such was the road travelled by Antonio Vivaldi (4 March 1678 – 28 July 1741). Vienna would later become home to Haydn, Mozart and Beethoven, the three main composers of the classical era. However, in the seventeenth-century, musicians trained in Italy also settled in France, Lully being the foremost representative among Italian-born French composers. Ironically, France owes the French Overture to Italy, but not altogether, as it all began in the expanded Burdundian lands, not to mention that Franco-Flemish composers brought music to Italy. Adriaan Willaert’s most influential appointment was as maestro di cappella of St. Mark‘s at Venice. He occupied this post from 1527 until his death in 1562 and students came to him not only from Italy, but from all over Europe. In other words, Reynard the Fox was born in Nivardus of Ghent’s Isengrimus (c. 1140), where he was called Reinardus. The frères de Limbourg, who produced the richly-decorated Très Riches Heures du Duc de Berry were born in Nijmegen, in what is now the Low Countries. Very fine rugs and tapestries are still made in Bruges. And now, Adriaan Willaert, born in Bruges, has taken music to Italy. To return to music, we could discuss polyphonic music, but it seems best to begin with the not-so-humble monophonic song. 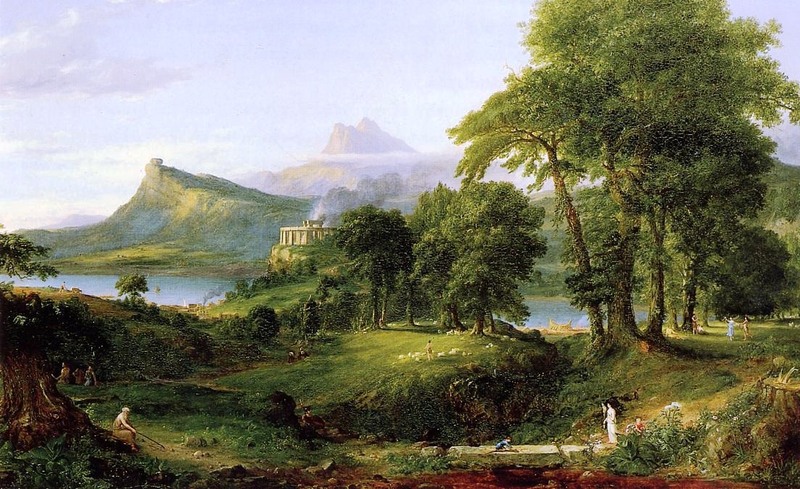 I have written “not so humble” for those who love Schubert‘s (31 January 1797 – 19 November 1828) Lieder: songs. Willaert wrote 60 French chansons and 70 Italian madrigals (songs in the mother [madre] tongue) and trained a flock of madrigalists whose ancestors were courtly singers, or trouvères, members of the upper bourgeoisie and aristocrats who worshipped women. Madrigalists did not worship women, but they have left us beautiful songs, including love songs. Madrigals can be written for several voices (polyphonic) or for one voice (monophonic). The example I am using is a monophonic madrigal, composed by Willaert and entitled O quando a quando havea. I have not found the text, but I will look for it. [i] J. P. Burkholder, D. J. Grout and Claude V. Palisca, A History of Western Music (New York and London: W. W. Norton & Company, 2006 ), p. 175.